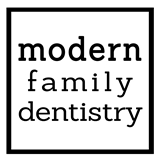 Modern Family Dentistry (Jersey City) - Book Appointment Online! Jersey City dentists committed to providing the most gentle and precise dental care in downtown Jersey City to adults, children, and adolescents. We offer fun loving doctors and staff, noiseless drills, nitrous oxide, TV's in all rooms, and sedation options for children and adult patients that suffer from dental fear. Our expert doctors offer the time and attention you need to answer any of your questions. Give us a call to find out more! They are the most attentive, friendliest dentists I've ever had the pleasure of going to.